Heavy duty open fronted, stackable picking bin for small parts storage. 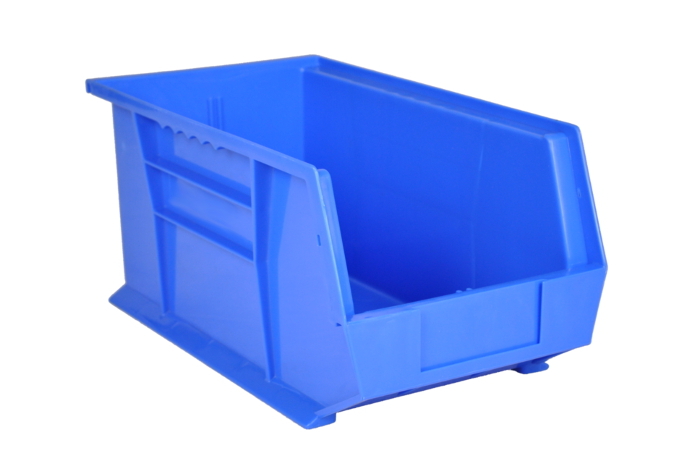 Can be purchased in packs of 10 or single bins. The Rhino Tuff Bin 40 is a very popular, heavy duty bin ideal for picking areas or storing larger items. 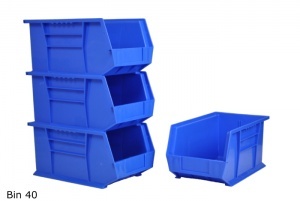 Manufactured from impact- resistant polypropylene copolymer plastic these wide open-fronted storage bins are shock-proof, impermeable to moisture and resistant to a wide range of chemicals, solvents and oils.